IRISH boxing was last night mourning the loss of a potential world champion after Olympic bronze medallist Darren Sutherland was found dead at his English home yesterday by his manager, reports the Irish Independent. The 27-year-old super middleweight, who won bronze for Ireland in the Beijing Olympics in 2008, was discovered in his flat in Bromley, south London, by Frank Maloney. The boxing promoter, who signed Sutherland as a professional in October last year after his Olympic triumph, said: "It is a tragedy for Ireland and the world of boxing." He described the death as very sad and unexpected. "At this sad time, my thoughts are with Darren's family and I hope their privacy at this very difficult time will be respected by the media." A Metropolitan Police spokesman confirmed that the young boxer was pronounced dead just after 3pm. His death is not being treated as suspicious. The death of 'The Dazzler' drew an immediate reaction from across the country. Sports Minister Martin Cullen said: "Ireland has lost a sportsman of wonderful ability, a clever and popular man with a future of real potential." Mr Cullen said his death was "a great personal loss" to his family and many friends. 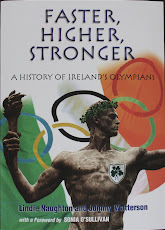 "The tremendous effort and determination of this young man brought immense pride to Ireland in Beijing in 2008 when he joined a very select group of men who have won an Olympic medal for Ireland. It takes work, effort, desire and dedication to be a champion -- qualities Darren had in abundance." Olympic Council of Ireland president Pat Hickey described the news of the young boxer's death as "unbelievable". Mr Hickey recalled that he had presented Darren with his Olympic bronze medal in Beijing. "He was the greatest fellow in the Irish camp. He was the life and soul of the party, a fellow who got on well with everybody. This is such an awful shock," he said, adding that the OCI extended its sympathy to Darren's family. "I remember him talking to me about turning professional and he was so positive and so sure he was going to do well." 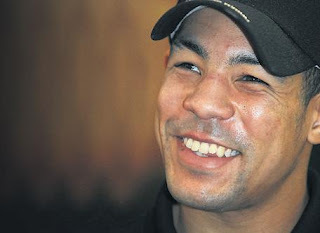 Dominic O'Rourke, the honorary president of the Irish Amateur Boxing Association (IABA), last night described the death of Darren Sutherland as "shocking" and "unbelievable". "I'm trying to get my head around it. I'm totally shocked, it is a total tragedy and I feel for his family. It is a tremendous loss. Words cannot describe it, it is hard to believe it," he said. Describing the young man as "a phenomenal talent", former world champion Barry McGuigan said he had expected his compatriot to become a world champion one day. "I am deeply shocked and deeply saddened by this news and my heart goes out to Darren's family. It is an absolute tragedy." Boxing pundit and former champion Mick Dowling spoke of his shock on hearing of Darren's death and said he would be a massive loss to world boxing. "He was the kind of fighter that every coach in the world wanted to see walking into their gym. He was an absolute natural and had the world at his feet," Mr Dowling added. "Darren would definitely have been a world champion. He had power, dedication and he was so, so committed from a fitness point of view." Darren claimed three Irish senior titles, two European Union gold medals and an Olympic bronze medal while boxing for Ireland out of the St Saviours OBA club in Dublin. The young boxer, whose parents live in Navan, Co Meath, was due to fight Tony Jeffries in the Seabum Centre in Sunderland next month. According to his Facebook site, Darren's ambition was to become "a future world champion". "I was drawn by the drama, glamour, showmanship and excitement of the professional game," he said. He started boxing full-time when he was 15 and quickly found he had a natural talent for it. "I love the thrill of the fight and performing in front of big crowds," he said.